I switched to shooting and hunting with a longbow only four years ago. After many hours of practice and four and a half Oklahoma archery seasons later I took this buck and doe. 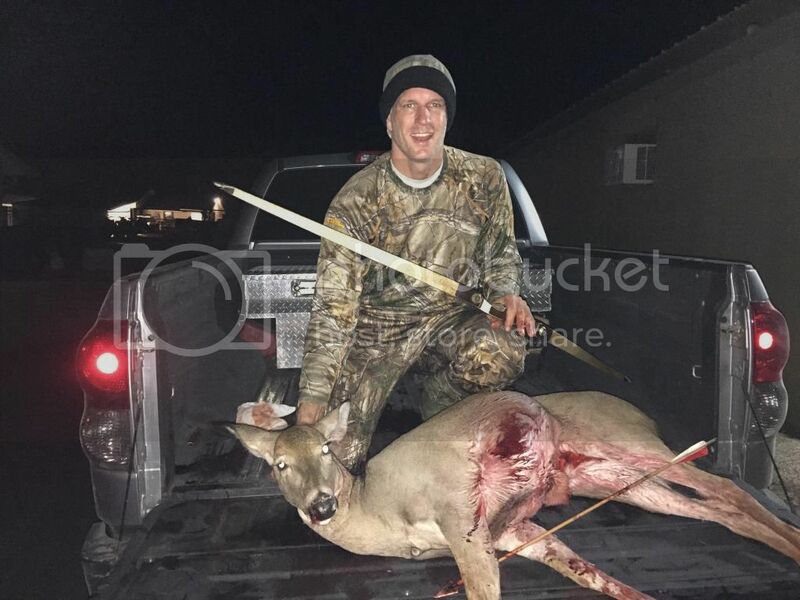 The buck was shot at fifteen yards from a ground blind on 11/13/14, and the doe was shot at twenty-one yards from a ladder stand. 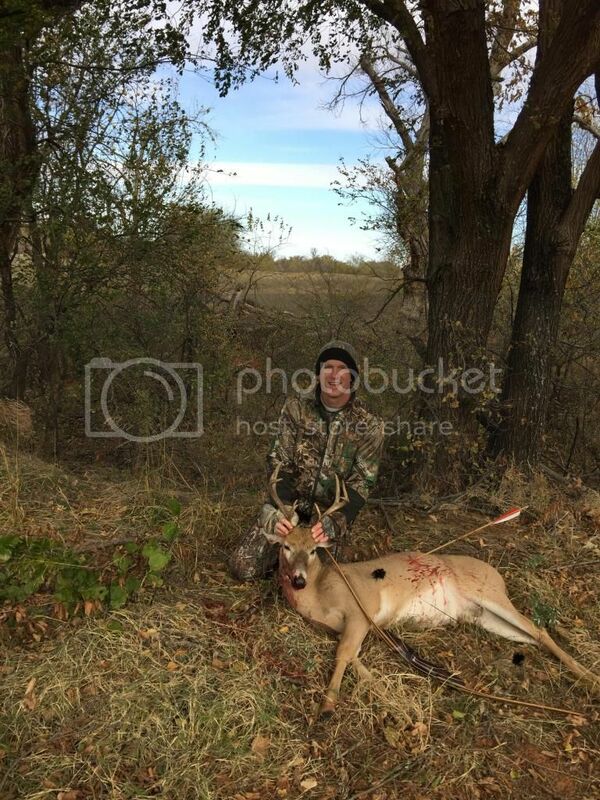 I hunt with a 60" Crow Creek Mag longbow. Its 48# at 28". at my 30" draw its tipping the draw weight scales at 56#. I use gold tip traditional 3555 arrows, full length, standard inserts, and Magnus four bladed Stingers, 125 grains. Great deer! Congrats to you! James, congrats on your first and second, of many I hope! Thanks guys. I'm hooked. I'm hooked on ground blinds too. The night I took the doe the wind wasn't right to sit in the brush blind, so I had to opt for one of the ladder stands we have up on my uncle's property. Bisch, thanks for repairing the photos. I'm happiest about the shot on the doe. Including my compound days, I was on a twenty-two year dry streak for does, including a missed shot at one that morning. Congrats, Some fine deer there! Way to go Sir!!! Nice shootin'! Great shooting. Congrats on both.